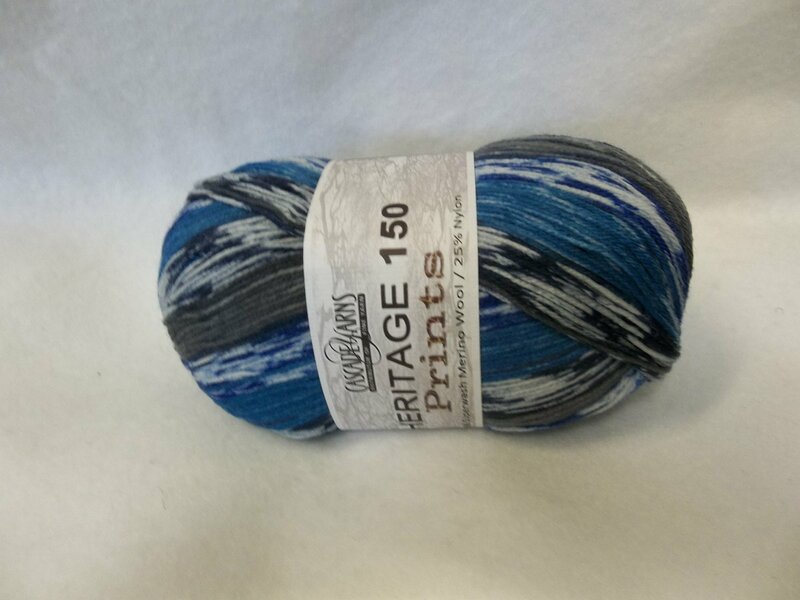 Heritage 150 Prints is a skein of 75% superwash merino and 25% nylon in DK weight. Each 150 gram skein contains 492 yds (450 m). On a US 2-4, Heritage 150 Prints knits to 24-28 sts. per 4 inches. Machine wash cool and tumble dry low. Made in China.